Free Download: The definitive guide to creating games that publishers want to sign. 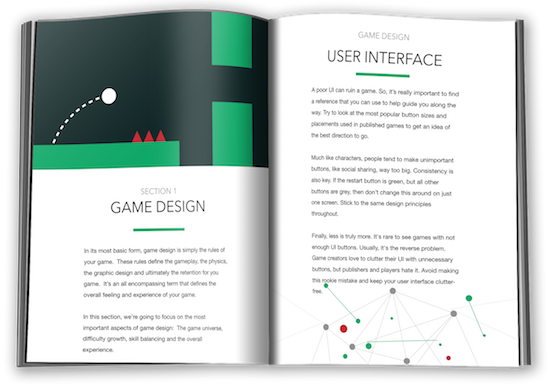 We’re excited to announce the release of the Published Game Design Manual. 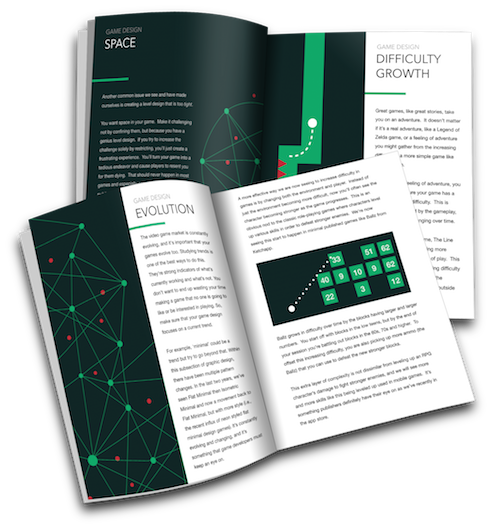 This in-depth guide was written by Buildbox founder, Trey Smith, who’s also a game business owner with over 60 million downloads and counting under his belt. You’ll notice the guide is written to help you create games that publishers want, and this is something Trey has a lot of experience in. Over 40,000,000 of these downloads are from published games, and in fact, Trey and the Buildbox team have not released a game in 4 years that hasn’t been with a major publisher. You’ll notice the guide is written to help you create games that publishers want, and this is something Trey has a lot of experience in. Over 40,000,000 of these downloads are from published games, and in fact, Trey and the Buildbox team have not released a game in 4 years that hasn’t been with a major publisher. This exclusive guide covers all the different parts of game design that every indie developer should know, especially if they want to get their game published. You’ll learn the basics for game design to give you a solid understanding. Then you’ll learn how to create new exciting game worlds and build out fun levels. You’ll also learn the secret to balancing difficulty and skills in your gameplay. Learn how to add uniqueness to your game to make it stand out to publishers and much more. Every important aspect of game design is broken down into easy, actionable steps that you can take. So, whether you’re a new to creating games and are in need of some guidance or you suddenly find yourself lost and unsure of the best direction to take with your game design, this manual will help. This guide was created so you can tap into these years of experience, and learn specifically what we’ve found publishers are looking for when signing our games. Trey had mastered the art of dealing with publishers and discovered the secret formula to getting a deal. In this manual, you’ll learn specifically what he does when coming up with new ideas and pitching them to publishers. Hi.i payed £6.07 for the book which should have arrived within 3 weeks but it’s been over a month and I still haven’t got it.is there any way I could get a refund? Can I get Buildbox for free? Will buildbox have a panel at the Google I/O of 2018 ?? Thanks for this Trey.I am so happy for this update . I’m gonna start reading it so I can open my mind and create a story that I can merge with my music project. I can’t seem to download it. It says Blocked plugin but doesn’t tell me what is blocked. Hmm working fine here. Try another browser? Much appreciated, Osamudiame. It was a fun one to make. Trey, you’ve done it again. Very top-level and in a compacted form that I can use. Could also be applied to many different kinds of projects. Could be expanded into a book by a ghost writer.